No. 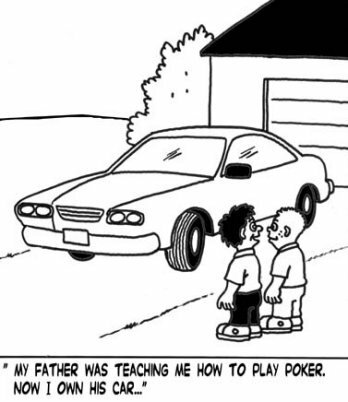 1 Son thinks he's a really good Poker player. The only problem is, he is pretty good. Good enough to where we can't consistently beat the other. That's why I told him that we can play free tournaments, and games that don't involve paying out money. Last year, I played this tournament, and he "advised me" (until he got bored and walked off ;) ). So we're going to try it again.